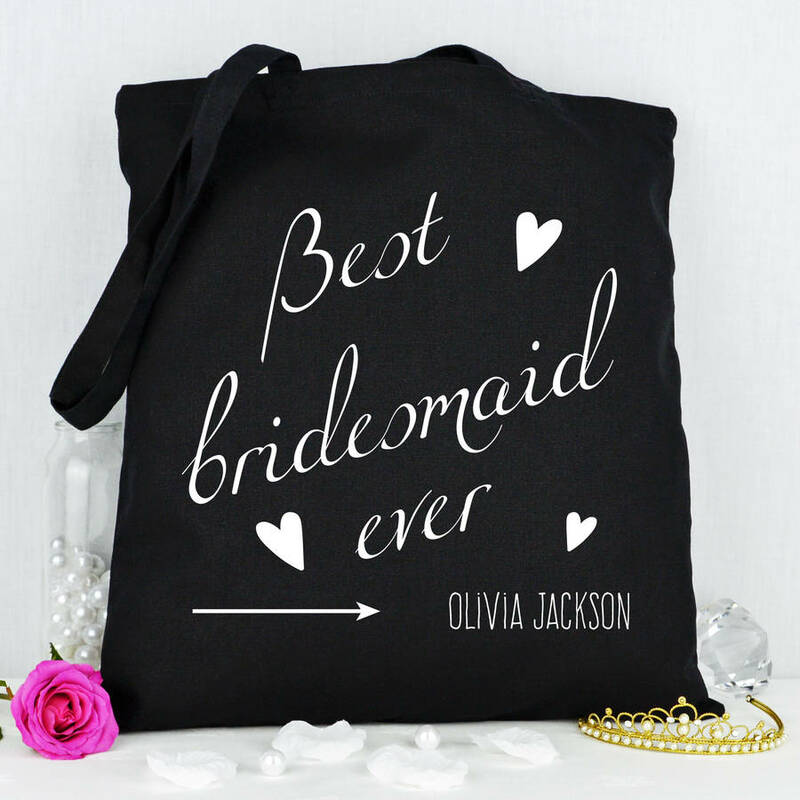 Unique and personalised cotton tote gift bag for your Bridesmaid. Great for hen parties to keep all of your party accessories in one place, as well as making a lovely keepsake for the bridesmaid/s. Have a photograph taken of all of your Bridesmaids together, with one of these on each on their shoulders, it will make a memorable addition to your wedding photo album! 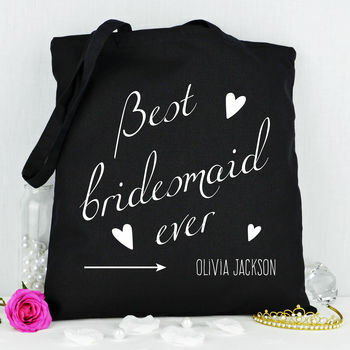 We can also print these bags for the Bride and also the Maid Of Honour. Should you require an alternative colour print other than white, please do contact us using the 'Ask seller a question' method, and we will arrange this for you. Designed and Printed by Andreafays.